No fly has ever reminded me more of a natural bug than the Pheasant Tail nymph. Frank Sawyer achieved fly-fishing immortality when he invented it. It’s a very clever insect imitation that catches lots of trout. It’s also a very simple fly, especially the way Sawyer tied it: nothing but pheasant tail feather fibers, copper wire and a hook. 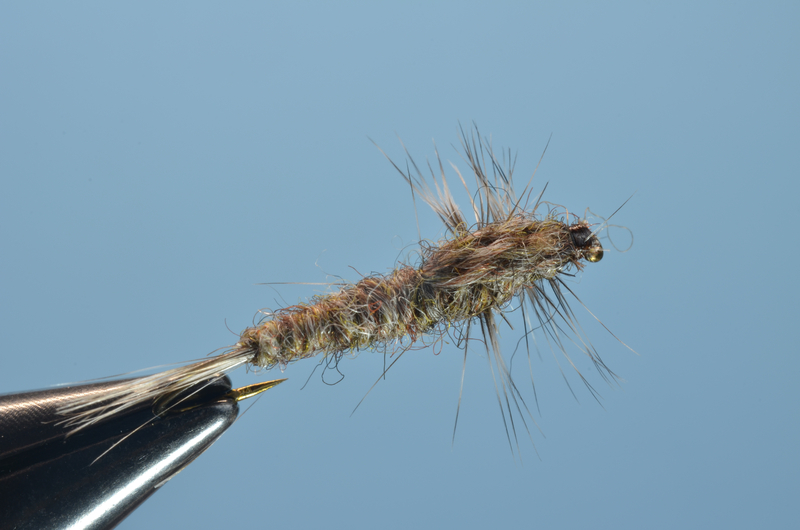 I included the Sawyer Pheasant Tail in my book, Simple Flies: 52 Easy-to-Tie Patterns That Catch Fish. A few weeks ago, I was honored to learn that a well-known figure in the fly-fishing world, Harry Murray of Edinburg, Virginia, had read the book and liked it. It turns out my cousin by marriage lives close to Murray’s Fly Shop and showed Harry the book. Not long after that, Harry sent me one of the coolest fly-fishing things I’ve ever had: a set of Grey Goose nymphs – a close relative of the Pheasant Tail – tied by Sawyer’s widow, whose name I understand was Margaret. They’re beautifully slim, buggy in a very understated way. They’re dainty 16s, great Blue Winged Olive or Sulfur nymphs. In fact, they resemble many little insects trout snack on all day long. Like the Pheasant Tail, they’re minimalist: copper wire underbody & rib, goose wing feather fibers for the tail and body. I find it interesting that the bellies of the thoraxes on the Sawyer nymphs aren’t covered with goose; they’re just naked copper wire. I think trout really like copper wire. The Sawyers’ neighbor across the road, Oliver Kite, was a celebrity fly-fisher in England in the 1960s and sometimes fished with what he called the Bare Hook Fly, which consisted of nothing more than a ball of copper wire on the front half of a hook. He caught fish with it. I’m not sure what to make of that. But I’m proud to possess Mrs. Sawyer’s nymphs. The Grey Goose and the Pheasant Tail exemplify what I admire about simple flies. Their design includes everything that’s necessary – a slim, segmented body in insect-like earth tones, with muted flash from the wire – and nothing more. 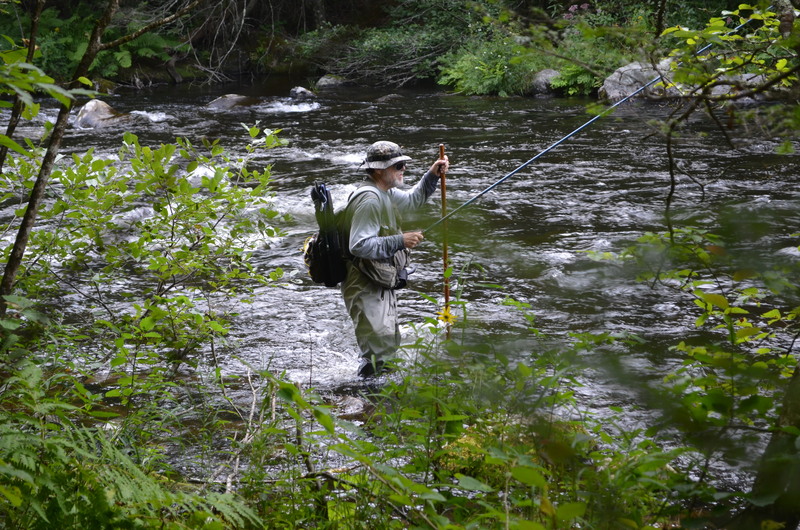 Most of the tenkara rods sold in the U.S. are made in China. Nothing wrong with that – Chinese factories make some fine rods, tenkara and otherwise, these days. But for the most serious tenkara fans, there’s just something special about a rod made in Japan. 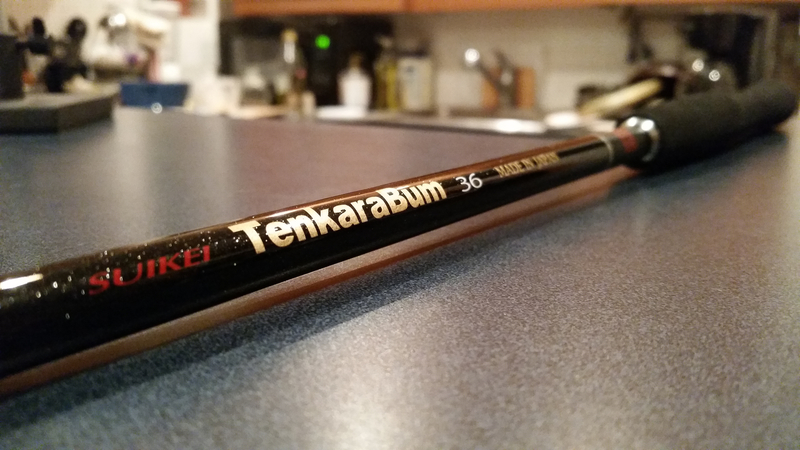 So it’s something of a milestone that New York-based TenkaraBum is out with a new rod made to American specs in tenkara’s homeland. “This is the first rod developed by an American tenkara angler and a Japanese rod company for sale in America and also Japan,” says TenkaraBum founder Chris Stewart. The Japanese company is Suntech, in Nagoya, and Chris says it has a reputation for high standards. Other Suntech rods, when they’re available, have been very well-received in the U.S.
We Americans just love our bead-head nymphs, but standard tenkara rods have never been ideal for that kind of fishing. Their soft action leaves something to be desired on hook-sets. Stewart asked Suntech to give the TenkaraBum 36 a stiffer midsection that provides the necessary backbone to set a hook several feet under water. “It has a different action than any tenkara rod I’ve come across,” Stewart said. But it is still a tenkara rod, of course, so it’s sweet for wet flies and dry flies. The 2.2–ounce TenkaraBum 36 is 11 feet, 10 inches long and has an EVA foam grip. It’s a beauty, black with a silver band around the end of each section and a fine glittery finish on the handle section. I got mine today and plan to use it for the first time on the Farmington River in Connecticut. You can get yours for $230 at TenkaraBum.com. I was lucky enough to tie flies next to Rich Strolis at Partridge Days at the Catskill Fly Fishing Center and Museum earlier this month. 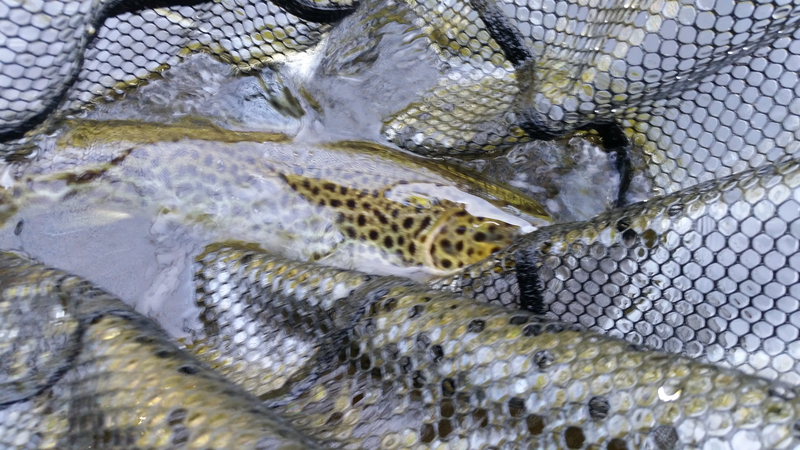 Rich made a name for himself while guiding on the great trout rivers of western Connecticut, close to his hometown of Russell, Massachusetts. He’s become one of the leaders of the modern streamer fly movement, targeting large fish with large flies. It’s challenging to design a fly that’s big enough to tempt a big fish while remaining easy to cast and resistant to getting the tail wrapped around the hook. The fly shown here is a rough draft of one of Rich’s current flies, the Pike Dart. He usually adds either a head or an eye of some sort, but he had to run off to give a presentation on streamer fishing. It’s a great-looking fly with a smart design – a body made from an EP Fibers dubbing brush gives the fly a nice fat profile and keeps the tail away from the bend of the hook. Here’s a video showing how it’s tied. 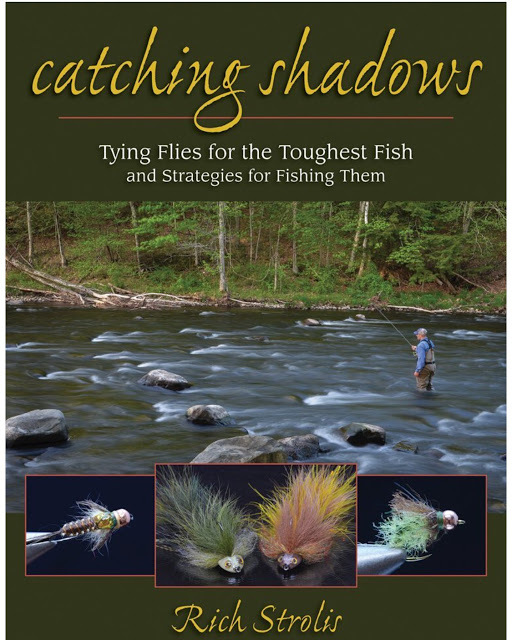 Rich has a book coning out January 1: Catching Shadows: Tying Flies for the Toughest Fish and Strategies for Fishing Them, by Stackpole Books. I’m looking forward to reading it. John Gierach, author of Trout Bum, Another Lousy Day in Paradise and 18 other books, will be inducted into the Catskill Fly Fishing Center and Museum’s Hall of Fame Oct. 10. Also being inducted is Bill Elliott, an artist who has illustrated 38 books and whose work has run in all the big hunting and fishing magazines, including Field & Stream, Sports Afield and Outdoor Life. Curt Gowdy, host and producer of The American Sportsman (and a member of 20 other halls of fame, as an angler and sportscaster) and Charles Ritz, influential 20th century fly-fishing author, will be inducted posthumously. 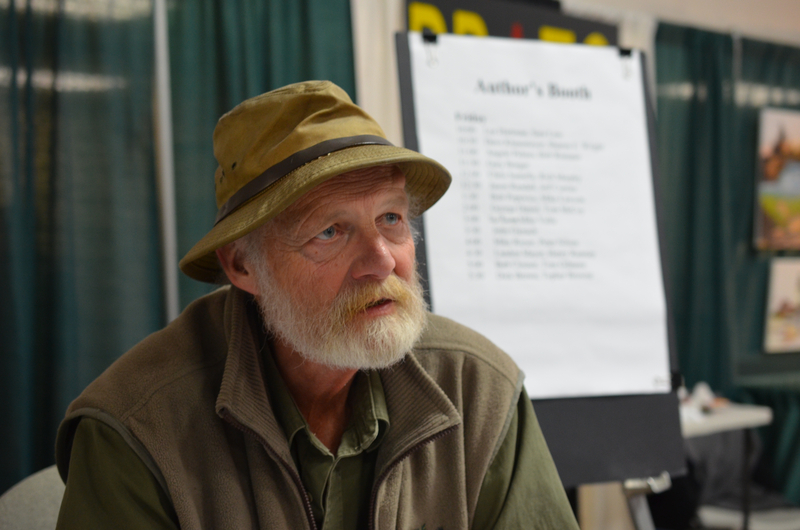 Gierach gave a talk at The Fly Fishing Show in Somerset, New Jersey in January. Here’s a report I did on that event for About.com. I’m a big fan of yarn as a material for sub-surface flies. It’s quicker, easier and probably cheaper than dubbing fur onto tying thread, and creates a natural, slightly rough-looking body with built-in segmentation. You can separate the yarn into plies to make smaller flies or use it as is for the larger models. 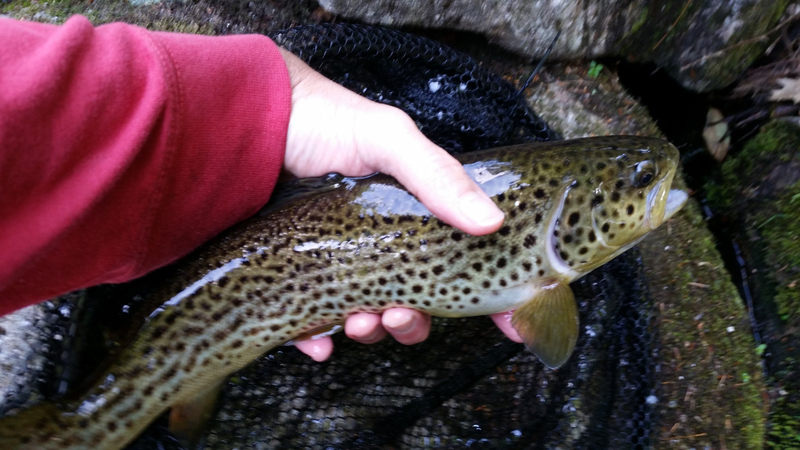 Speaking of larger models, I brought a handful of IMS to the Farmington River in Connecticut, which thanks to Mother Nature, the Hartford water supply district and the Connecticut Department of Energy and Environmental Protection is chock full of sizable trout. It’s unusual to catch anything smaller than an honest 12 inches on the Farmington, and if you do catch anything smaller than that it’s a wild trout, which is always nice. People who know the river well land 20-inchers on a regular basis. I’m not one of them, but having grown up on skinny 9-inch hatchery yearlings over the state line in New York, I enjoy the Farmy’s plump, 12-inch browns. The IMS was met with approval by a few handsome trout and one acrobatic show-off bass during a couple of brief sessions over the weekend. As its name suggests, the Improved Montana is a stonefly pattern, but I figured it would be a good Isoynchia nymph in size 10 and the fish didn’t disagree. The wing case did pop loose on one fly after a tussle with a trout. So the IMS isn’t exactly bomb-proof. But it’s so easy to make, I consider it expendable. 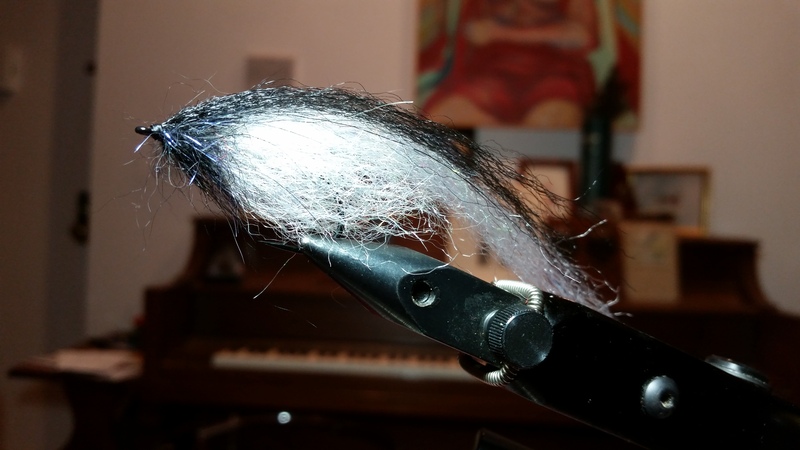 You’ll find the recipe and how the fly came to be on page 74 of Simple Flies: 52 Easy to Tie Patterns That Catch Fish. The land of Gierach and Gordon, Lefty Kreh and Lee Wulff, used to be a perennial also-ran in the world of competition fly-fishing. The U.S. adult fly fishing team went decades without so much as a bronze medal, while European countries – in particular the Czech Republic – took gold after gold. That’s all changed in recent years. The men’s team finally medaled this year at the World Championship, winning the silver. Last summer in Colorado, Fly Fishing Team USA won the America Cup, an international tournament very much like the world championship. The grown-up American anglers have now finished in the Top 5 three years in a row. And the 2016 world championship will be in Vail. But while the men have steadily worked their way toward respectability, the U.S. Youth Fly Fishing Team has become the world’s best by a mile. The younger anglers won the FIPS-Mouche Youth World Championship over the weekend – the team’s third gold in a row and fourth in five years. Hunter Hoffler of Moreland, Georgia, who at 18 is aging out of the youth team, won the individual gold medal. Hoffler is the host of “In The Loop: Modern tactics on the Fly,” a comp-fishing inspired show that has aired on cable outdoor sports networks. Fellow Georgian Mason Sims took the individual silver medal. Cam Chioffi of Massachusetts finished sixth and Hunter Enloe of North Carolina finished seventh. The youth team beat out Poland and the Czech Republic, the silver and bronze medalists respectively, in what was described as a tough, close contest on the Eagle and Colorado rivers, Sylvan Lake and Dillon Reservoir. John Gierach and and Lefty Kreh may or may not care for comp fishing. Wulff didn’t have much to say about it, as far as I know (though his wife, Joan Salvato Wulff, was a world champion competition caster), and Gordon flat-out didn’t like it. Even so, with the U.S. men finding their groove and a dominant youth team aging out of the junior circuit and into the senior ranks, the American anglers’ days as also-rans seem to be over. 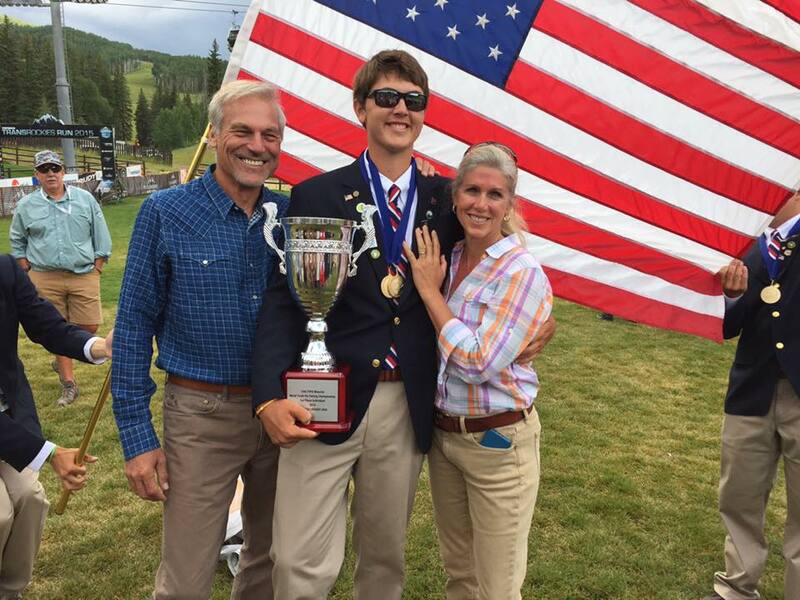 World champion Hunter Hoffler with his his folks, Melissa and Phil Town, and the U.S. Youth Fly Fishing Team’s first-place trophy.